No matter what kind of pet you have, there’s a chance that they may get cancer. We know how hard it can be when your animal companion has received a cancer diagnosis. The main goal at Pleasant Plains Animal Hospital is to enhance the quality of life that your pet has and provide a treatment that is appropriate based on your pet’s needs. When cancer is detected and treated early, it will provide your pet with their best recovery chance. This will also help them live much longer and have fewer complications. These days, there are many more oncology treatment options for treating cancer than there ever were before, including radiation, chemotherapy, nutritional support, and surgery. Remaining proactive is one of the best ways that you can defend your pet against any kind of disease, which includes cancer. 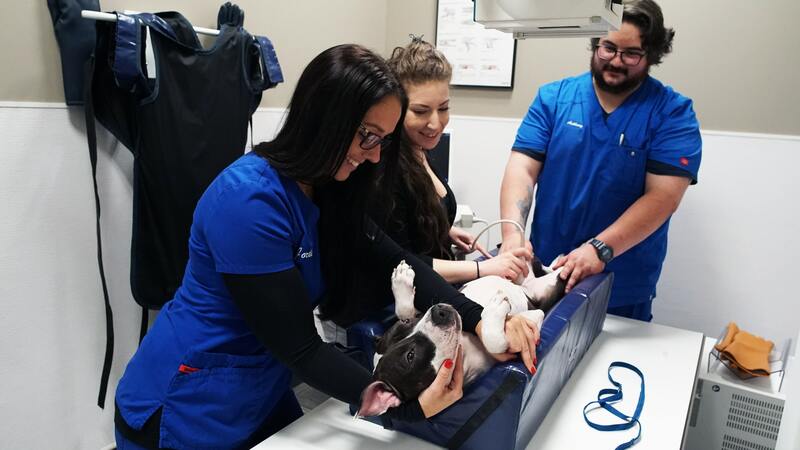 Bringing your pet in regularly for wellness exams will let us asses the overall health of your pet and talk about any kinds of behavioral or physical changes that you have noticed. Our services in oncology include surgery, cancer screening, and chemotherapy. You will be provided with information regarding the condition of your pet and the veterinarian will discuss which of the options will be most beneficial to your pet.